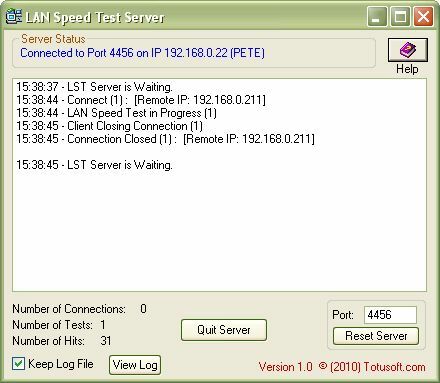 LST Server is an additional feature for Lan Speed Test. By using this configuration the client talks directly to the server through the network with no hard drive limitations. This gives more accurate results of True network performance on the client screen. LST Server also makes it possible to test your WAN (internet) connection!